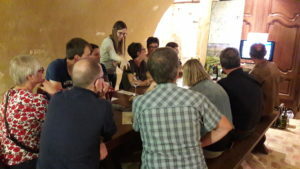 Tasting in our cellar ! 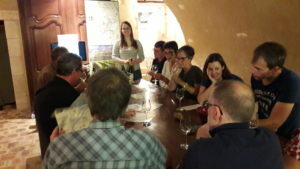 Here are some photos of our latest group tasting (on reservation), done by Marie, our 6 month-intern, with Belgian guests. Awarded 2 stars by Michelin red guide since 2016, this exceptional place is also part of The List 2018 with a grade reaching 93.25. You can either decide to be inside enjoying an elegant and luxurious surrounding or to get some fresh air in their romantic garden. 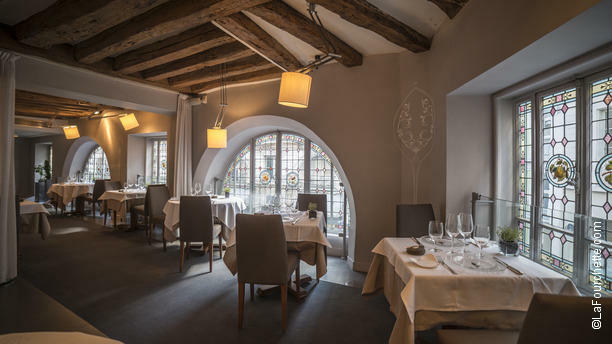 In this warm and elegant environment you will be offered creative and technical plates, and drinks from an amazing wine list in which you will find our Masson-Blondelet 2016 White Sancerre Thauvenay. 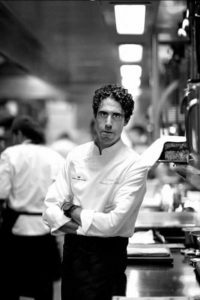 The menus reflect Fernando P. Arellano’s personality as he wants them to be “inspired by his experiences, his surroundings, his travels and his roots.” 1 Indeed, his work in famous restaurants in 5 different countries in Europe gave him the potential to reach the top level. 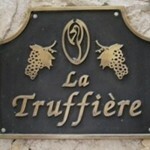 Truffle and Pouilly-Fume : what could be better? What would you think about a half lobster from Britain and its raviole of foie gras with black truffle served with a Pouilly-Fume Les Pierres de Pierre or Les Angelots? 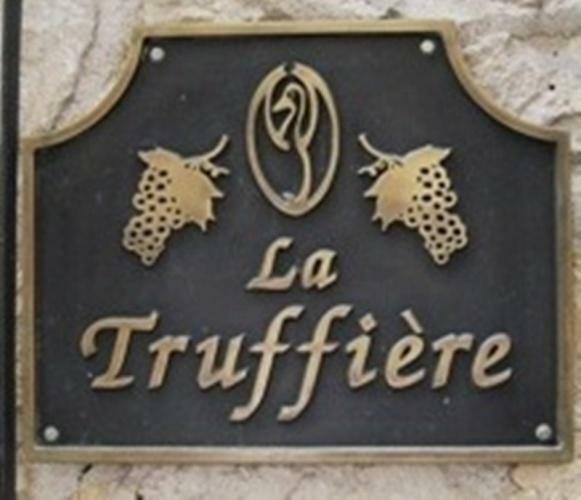 It is in the heart of the old historical Paris, in the Quartier Latin that La Truffière is located. Both a Wine shop and a gastronomic restaurant** awarded by 3 toques Gault&Millau, this establishment is actually the rendez-vous of gourmets. And as you can guess, its signature is the truffle. Black or white, it emphasizes every dish served in the restaurant, for the greatest delight of amateurs. Christian Sainsard, became the owner of the establishment in 1984 et since, tries hard to transmit his passion for wine and food service. 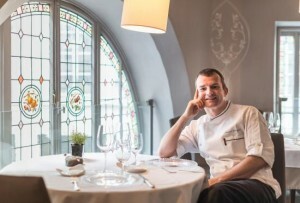 And since February 2016, a new Chef Christophe Poard joined the team. 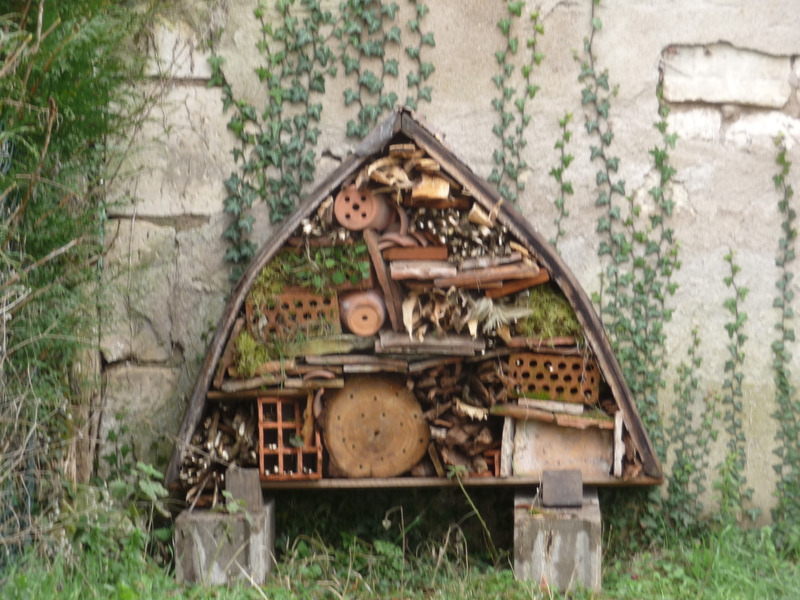 He elaborated an “artist’s cuisine”1 caracterised by its “originality, the pleasure of taste and the respect of its products”1, products of terroirs carrefully selected following the seasons. 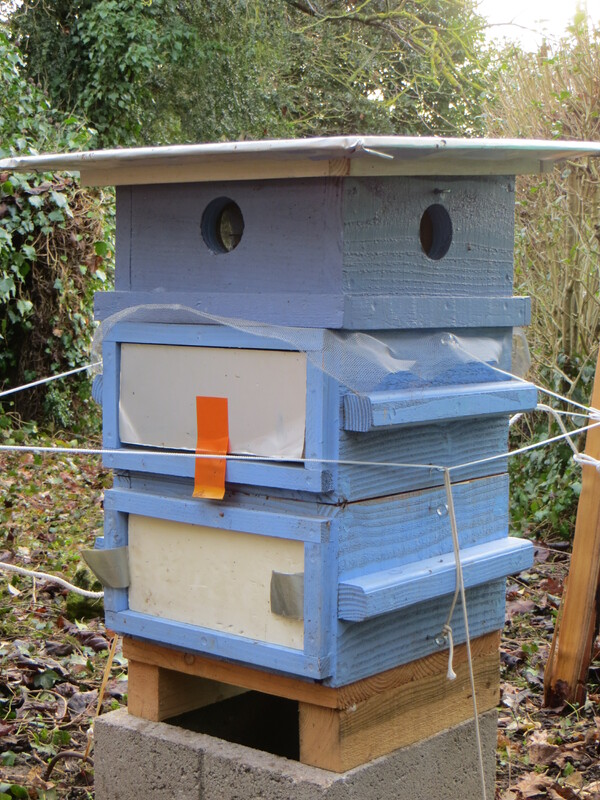 This one learned with the greastest Chefs such as Le Clos Longchamp ** (Jean-Marie Meulien), Le Jamin*** (Joel Robuchon) or even Le Grand Vefour*** (Guy Martin). 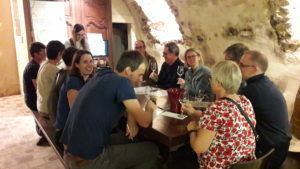 Then, all the team welcomes you in a “spirit of sharing and conviviality”1 in the different lounges that can be made private for a day : a lounge with exposed beams in the ground floor or a voulted cellar from the XVIIth century? The choice is yours. Concerning the wine, the list has been awarded several times as it is remarkable and count no less than 4700 French and Global references2, including today our Pouilly-Fume Les Pierres de Pierre et Les Angelots, harvested on flint and har limestone. 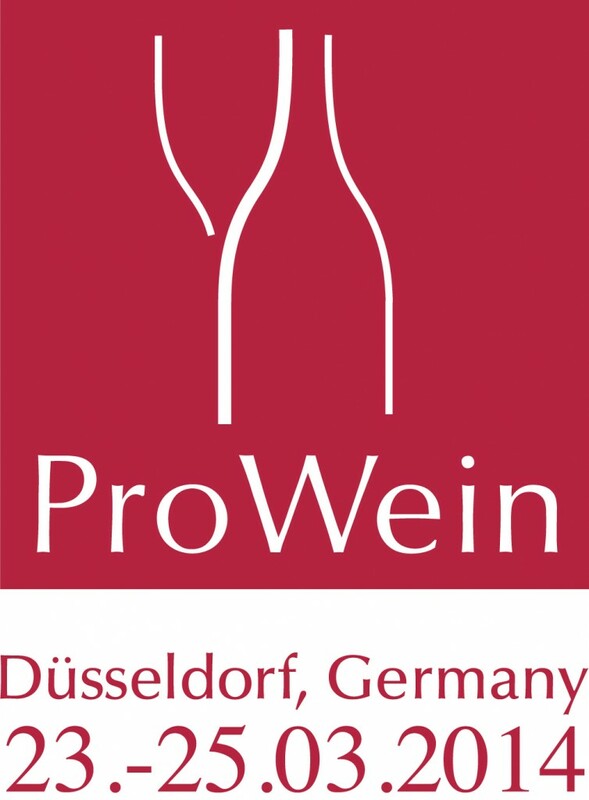 Effectively, since 30 years, the owner Christian Sainsard, passionnate about wine, travels in the all world to share its discoveries with you. Hence, you could enjoy in an intimate and friendly setting the creative dishes of the Chef Poard : a half Lobster from Britain, raviole of foie gras with black truffle, pressé of potatoes and bouquetière of vegetables or a Parmentier of Beef with black truffle. The cheese board will also suprised you with its 30 cheeses, all ripened differently. As a dessert, the chocolate afincionados will enjoy the Déclinaison of chocolate, crunchy cacao and «Dulce» ice cream whereas others will prefer the Croustillant of nuts, truffled mousse, Jasmin ice cream and coulis of blackcurrant and lime. 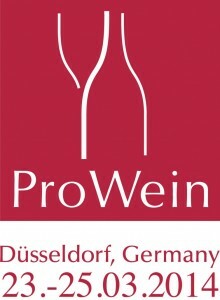 Open from Tuesday to Saturday from 12:00 to 2:00 pm and from 7:00 to 10:30 pm. Pouilly-Fume, Sancerre and Globetrotter ! This is a “master stroke“1 for Samuel Cavagnis, who opened his own restaurant ten years ago. 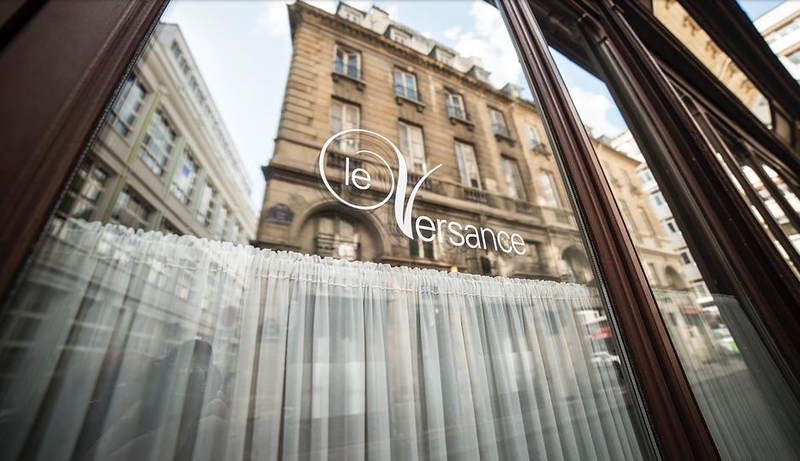 Located near the Place de la Bourse, in the 2nd arrondissement of Paris, Le Versance is today awarded with 2 toques Gault & Millau. All the team warmly welcomes you in this “intimate and elegant setting”2 where “exposed beams and stain-glassed windows”2 coexist with design furniture. 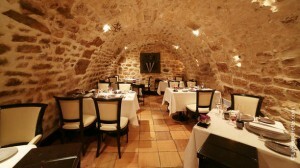 A “romantic and chic” atmosphere, perfect for an intimate dinner for two. 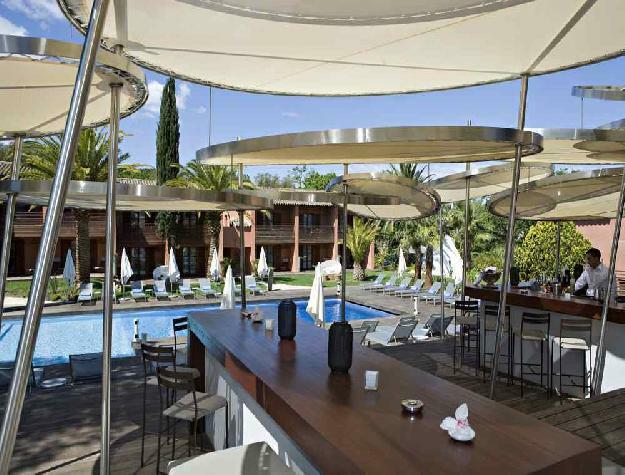 However, nothing stops you from enjoying the “simple and refined cuisine” 3 of the Chef for other events : the lounge dedicated to apéritif lends itself to evenings with friends whereas the private lounge upstairs will be more appropriate for business lunches. 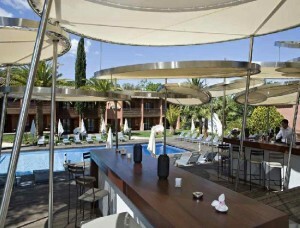 During summer, you could also enjoy the sun on the elegant terrasse located in the pedestrian street. 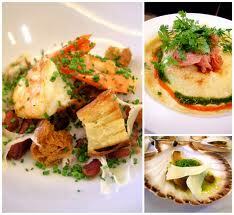 In the kitchen, the Chef Samuel Cavagnis offer you globetrotters’ dishes. Effectively, this one travelled all over the world during several years – from Chicago to Vietnam, through Australia, Lebanon or even Taiwan3 – to meet worldwide cultures and flavors. And after his “atypical career shaped from all corners of the world”2, he finally decided to settle in Paris. 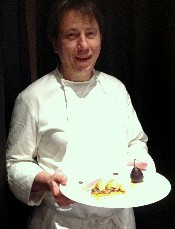 Now, he creats dishes with “French roots tinted of exotism”4, between modern and tradition. 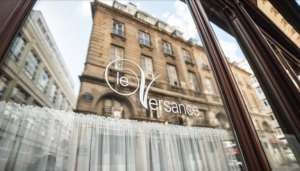 Endowed with an remarkable cellar, Le Versance also proposes you more than 120 references, “from exceptional grand Crus to suprising wines”3. And now, you can find on the wine list our Pouilly-Fumé Les Pierres de Pierre and Les Angelots as well as our Sancerre Rouge Thauvenay. 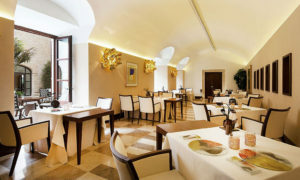 These wines will perfectly match the “sensitive and inventive cuisine”2 of the Chef Cavagnis : Blue lobster rosted with curry and its sauce with Vin Jaune, Calf sweetbreads and its stilton cake and pears with spices, or even a fantastic dessert offering a variety of apples nuances4. The favourite quote of the Chef Samuel Cavagnis : “Inviting someone is taking care of his hapiness during all the time he is in your household.” (Brillat-Savarin). Open from Tuesday to Friday from 12:00 to 2:00 pm and from 8:00 to 10:00 pm, and on Saturday from 7:30 to 10:00 pm. What about enjoying our Sancerre Thauvenay White and Red on a terrace in the shade of a pine, lulled by the chirping of cicadas ? 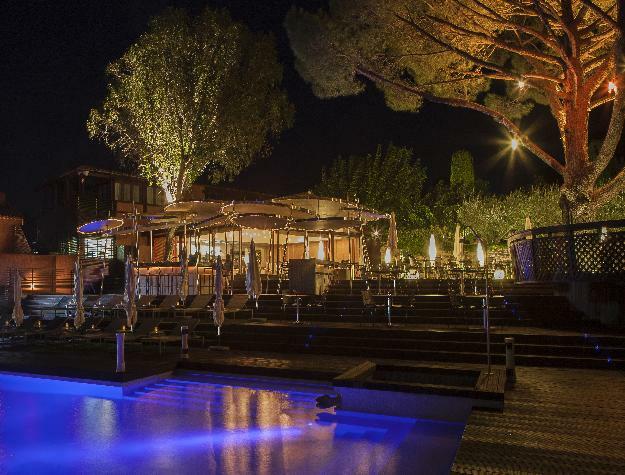 Now, this is possible in “one of the pearls of St-Tropez”1, the Benkirai Hotel, actually awarded 5 stars on the Michelin Guide. This “authentic Mediterranean architecture”1 houses an interior, entirely designed in a contemporary style by the famous French designer Patrick Jouin. 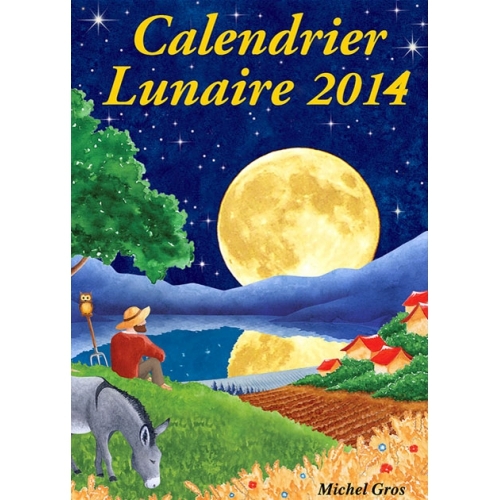 Hence, “Provençal tradition and modernity” perfectly match together. Refined lines, marine colours, made-to-measure furniture… The all interior tempts you to rest. 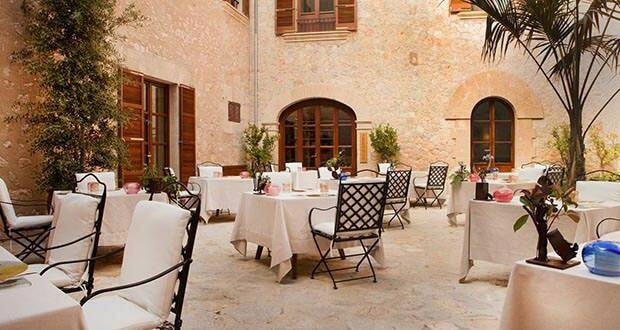 And the same applies to the exterior, where you can enjoy a fabulous view on the Mediterranean landscape. In the kitchen, the Chef Bilal Amrani will delight you presenting this year a menu with sunny flavours, marked by Mediterranean influences. 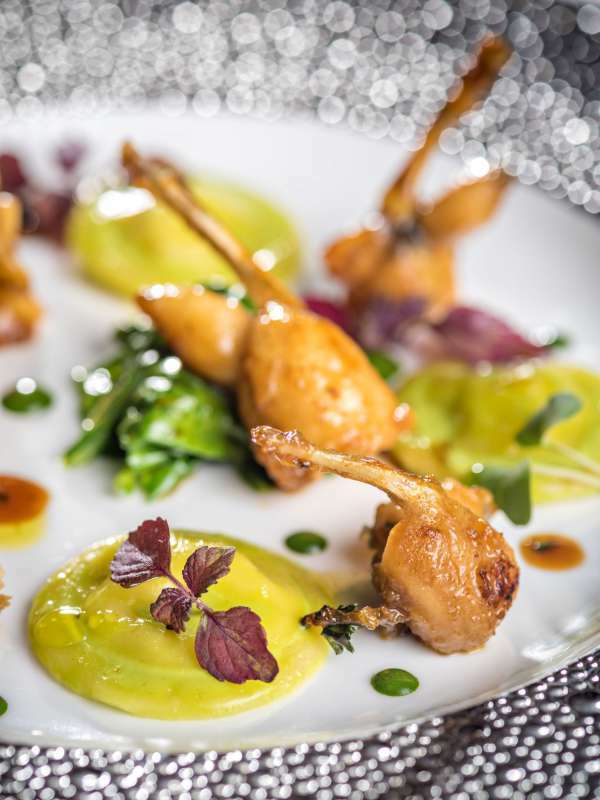 Since 2015, the former chef of the Sivolière, Courchevel or the Messardière or the Bistrot à la Truffe, St-Tropez signs a delicious, healthy and coloured cuisine. And now, you can combine a gilthead seabream, a grilled lobster ‘a la plancha’ or a risotto with our Sancerre Thauvenay White 2014 or enjoy a carpaccio, a grilled meat with our Sancerre Thauvenay Red 2012. You can also enjoy the numerous leisure activities suggested by the Hotel : massages, cosmetic cares, heated pool… And if you want to visit around, be aware that the Hotel is located near the centre of St-Tropez, not far away from the Pampelonne and Salins beaches. Now, you can enjoy our Pouilly-Fume Villa Paulus 2014 and our Sancerre Thauvenay White 2015 in a key avenue of Strasbourg. 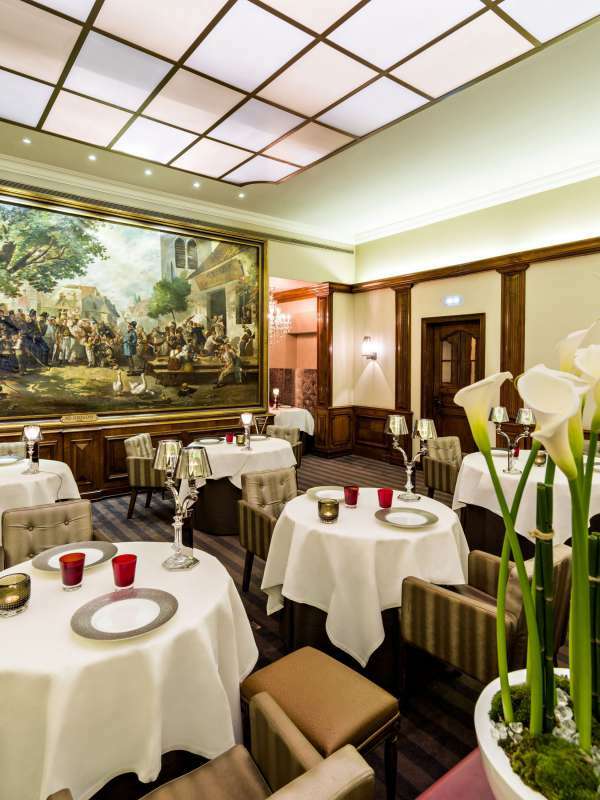 In the heart of the Alsatian capital, the Crocodile – Michelin starred restaurant is actually a historical place where “prestige and refinement” prevail. 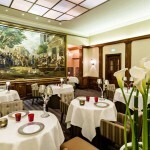 Warmly welcomed by the staff, you can have lunch facing a famous painting signed Grison or have dinner under the 19th glass roof. Here, “freshness, quality and flavors” are the watchwords. 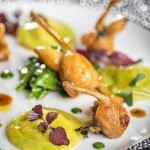 The Chef Ludovic Kientez revisits an authentic cuisine, “homemade” with local and seasonal products. Hence, his cuisine perfectly matches the wines selected by Gilbert Mestrallet, Best Maître d’Hôtel Sommelier de France of 1979-1980. Indeed, The Crocodile is famous for its remarkable wine cellar and now, you can find our Pouilly-Fume Villa Paulus 2014 and our Sancerre Thauvenay White 2015 on the wine list, many times qualified as “the most attractive list of the World by Wine Spectator Magazine”. 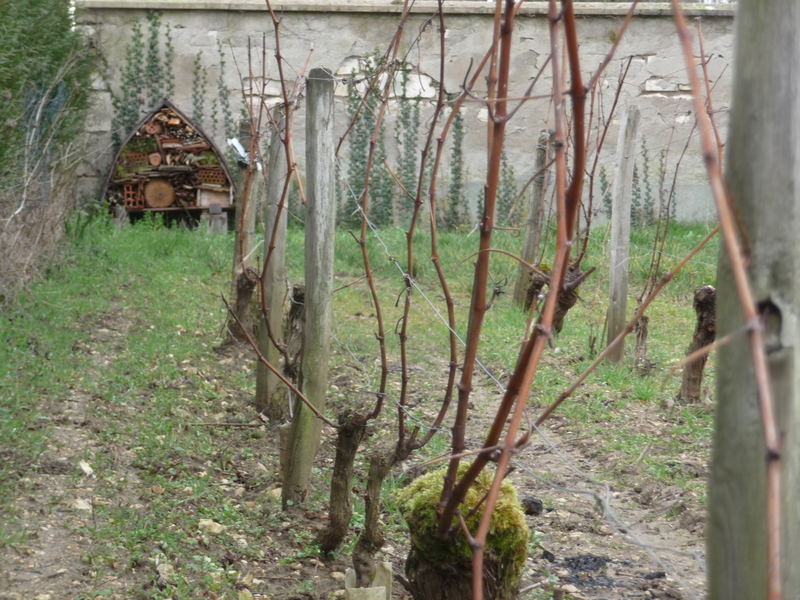 And in the link You Tube below, Pierre-François Masson explains his work at the Estate. (Short film of 3’30 minutes).